Designs by Lisa Somerville: Rev it Up! Happy Kitchen Sink Stamps Monday! 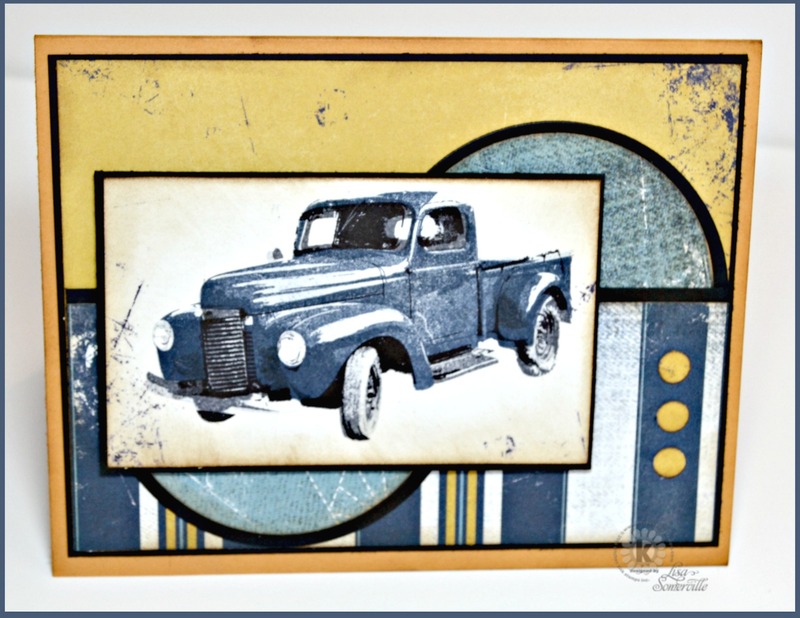 Today, I'm sharing a masculine card created with Kitchen Sink Stamps Multi Step Classic Old Truck and Authentique pattern paper. The Multi Step Classic Old Truck was stamped in Blue/Gray and Black inks on a scrap of the Authentique pattern paper, then sponged with Ranger Gathered Twigs Distress Ink. Fantastic card Lisa! That vintage truck looks amazing! Thanks for joining along with the Simon Says Stamp Monday Challenge!